Saypha Filler with Lidocaine is a soft tissue injectable that fills wrinkles and lines and enhances lips to correct the visible signs of aging. When injected into the skin, the cross-linked hyaluronic acid fills skin, which then leads to the smoothing out of skin issues and provides lifting and rejuvenating for the face. Saypha Filler with Lidocaine instantly works to provide a client with natural, long-lasting results. This specific aesthetic filler contains lidocaine, which is a local anesthetic that is used for pain management. Saypha Filler with Lidocaine is made of cross-linked hyaluronic acid 2.3% (23 ml/mg) and lidocaine 0.3%. 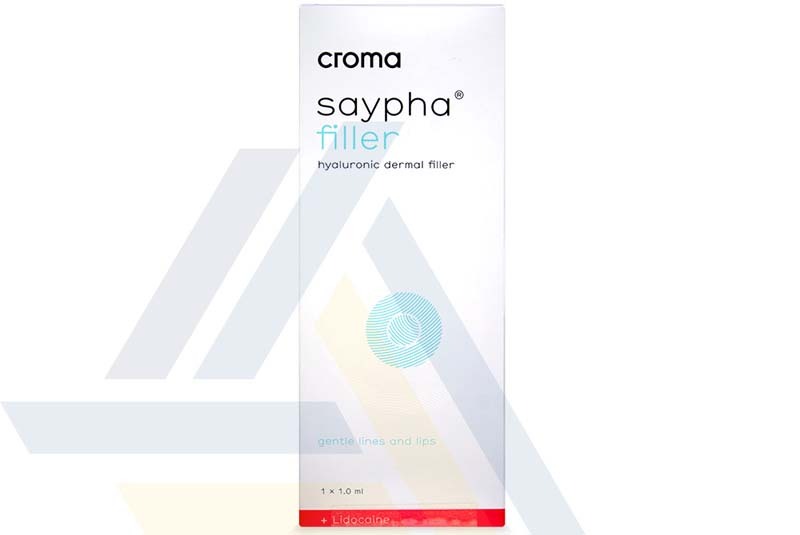 Saypha Filler with Lidocaine is used to treat deep lines and wrinkles. It is also used to increase lip volume and is safe for all areas of the face. How long do its effects last? The effects of this filler can last for 6 to 9 months. However, the duration of the results of a Saypha Filler with Lidocaine injection may vary from patient to patient. Saypha Filler with Lidocaine can cause some side effects, many of which are commonly experienced with the injection of any other dermal filler; these particular side effects include temporary redness, tenderness, swelling, or bruising at the injected area. These effects should subside on their own within a week. There are those with certain medical conditions that are inappropriate candidates for aesthetic treatments. For more information on these conditions, refer to Saypha Filler with Lidocaine’s package insert. This filler should only be administered by an appropriately trained and licensed medical practitioner. Saypha Filler with Lidocaine may only be injected into non-inflamed, healthy, disinfected skin. Inject this dermal filler using the supplied 27G needle with the appropriate injection technique. After they undergo the injection procedure for this filler, patients should minimize contact with their treated area(s) for a few days following the injection; this will help prevent product migration.